Lowell Memorial Auditorium will host the World Premiere of "The Bello Nock Circus: The Defying Gravity Tour" on October 29 at 2:00 and 7:00 p.m., and October 30 at 1:00 p.m.
Bello Nock Circus brings all the thrills of the American circus to this intimate theatrical adventure. Bello and friends will defy gravity on high wire, bungees, the trampoline and trapeze. It’s so inspiring, even pigs fly, and it's predicted that audience members will be unable to keep their feet on the ground. 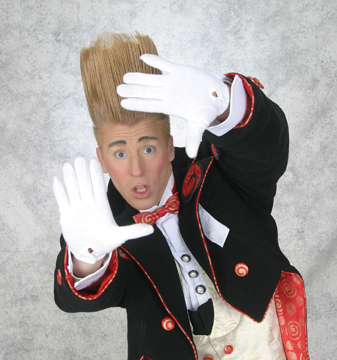 A seventh generation performer, the big-haired Bello Nock hails from a family of daredevils, ballerinas, equestrians, and opera singers. His credits include the prestigious Big Apple Circus and eight years with Ringling Brothers and Barnum & Bailey. Bello was inducted into the “Circus Ring of Fame” in 2009, the youngest person ever to receive such an honor. For tickets (starting at just $15.00) and information, stop by the Lowell Memorial Auditorium box office located at 50 East Merrimack Street in Lowell, call 978-454-2299 or visit www.lowellauditorium.com.